When you move, you want to ensure that all members of your household make it through the move as best as possible. So, for a lot of families, that includes your four-legged family members, too. We decided to go straight to the experts at the ASPCA for some pet-friendly moving advice. According to Pamela Barlow, senior behavior counselor at the ASPCA Adoption Center, a good move with your pets begins with preparing well. Barlow also recommends that prior to a move, you keep your home environment as consistent as possible for your pet since animals are often greatly affected by changes in their environment. She suggests confining pets to one room as the rest of the house is packed and packing their room last, if possible. Car rides can be tough on your animals, especially dogs, so Barlow encourages stopping at least every four h ours so that dogs can relieve themselves. For puppies, or senior dogs, it may be best to stop more often to avoid messy accidents in your vehicle. Another important factor in car rides with pets is the temperature. -An extra leash, collar and harness to use during driving breaks. It is always best to be over-prepared for essential items needed for when you take those driving breaks. -A car harness or travel crate to keep your animals as safe as possible during drives. Barlow recommends labeling any crates in large writing with the words “LIVE ANIMAL,” as well as any medical issues the pet may have. If you plan to fly with your pet to your new hometown, there are also lots of things to consider. Barlow says that all airlines will require at least 24 hours notice for any pet traveling with you, including service and therapy animals. She also says that while some pets are able to fly in the cabin with you, many will be required to be stowed as cargo away from you. Be sure to ask your airline prior to the flight if there is a supervis or with the pets onboard, and if so do they have other responsibilities besides the animals. 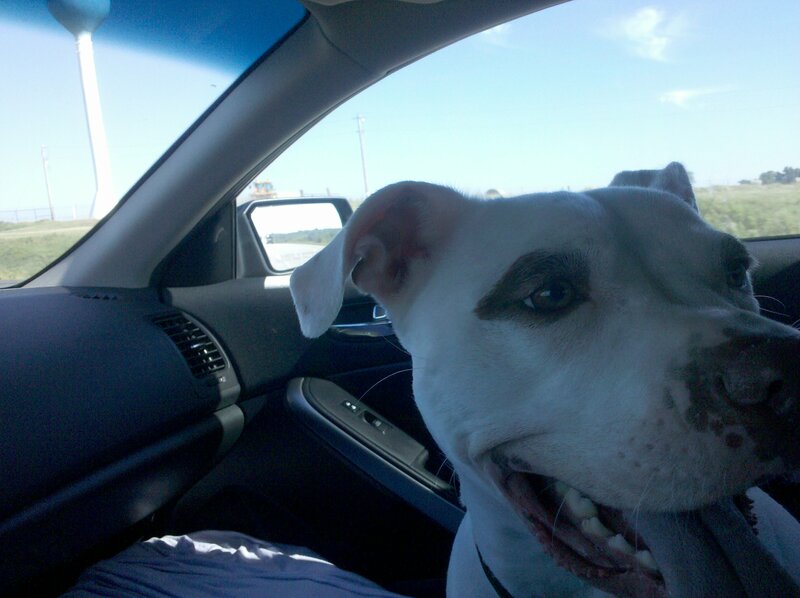 Also, you will want to inquire whether the cargo area where your pet will be kept is temperature-controlled. When transporting your pet to another country, be sure to check with the customs offices in the specific country for animal guidelines. For many countries, animals are only permitted through certain airlines or ports. 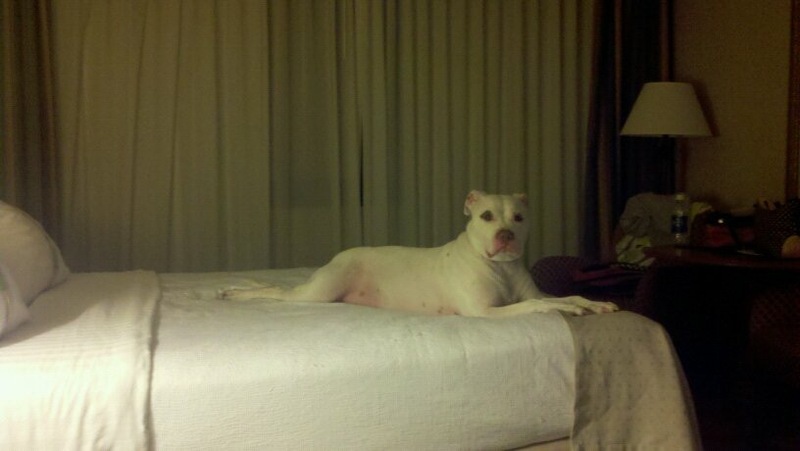 Once you arrive at a hotel, make sure you bring in lots of things to keep your pet happy and quiet. Barlow suggests quiet toys like wands for cats and feeder toys for dogs. We can only imagine that your fellow hotel guests will likely be thankful! Once you settle into a new home, it is just as important to settle your pets into their new surroundings as well. Also, be sure to keep an eye on your pets for signs of distress. One last tip that Barlow suggested regarded rewarding your pet for good behavior – while treats are the easiest reward to give to pets, she also suggests creating a list when you see your pet the happiest, whether that be playing in the grass, getting a belly rub or chewing on a bone and try to offer those activities as rewards.